Pre-orders began shipping yesterday and all new orders (as well as those to resellers) are expected to be out by Monday). 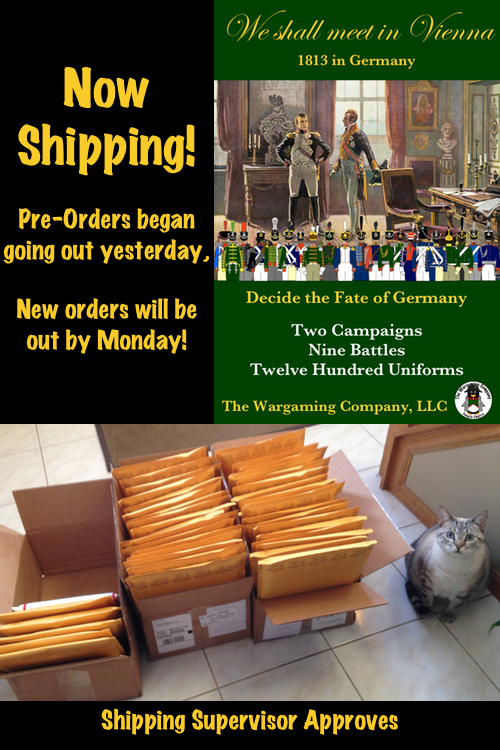 It is our biggest Campaign Guide yet, 250 pages, 2 campaigns, 9 scenarios, and 1500+ uniforms! 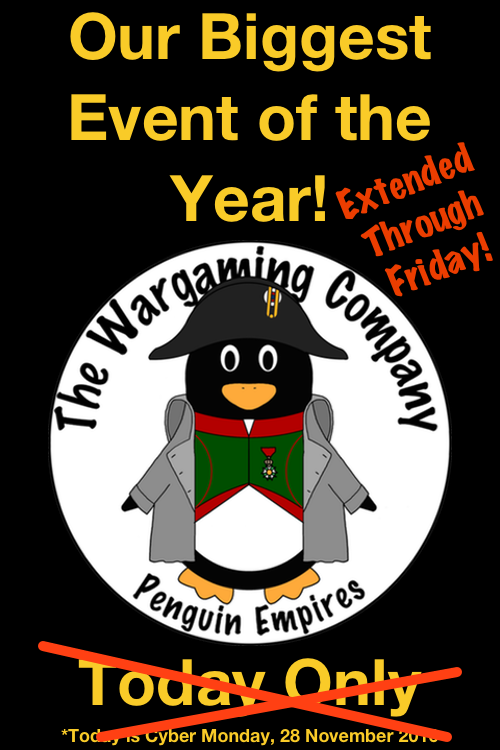 TWC – Sale Ends Today! 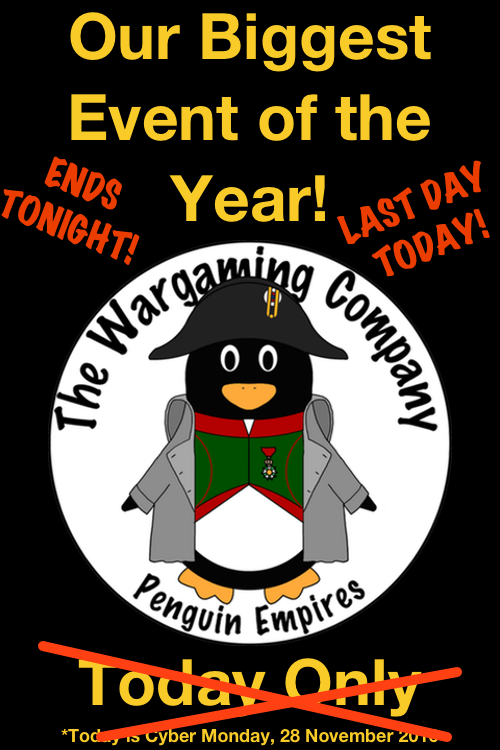 Today is the last day to get 30% off our 1813 Campaign Guide when you buy a title at regular price. 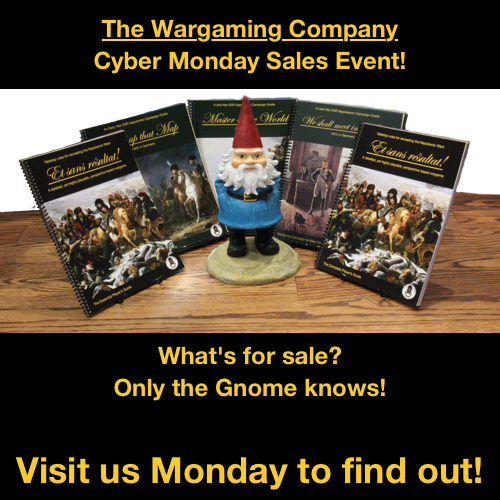 And all our titles are $10 off when bundled with our Cyber Monday Sale or purchased individually! Sale At TWC Today Only! Visit thewargamingcompany.com on Monday, 28 November for our biggest one-day sales event of the year!